Tripp Lite 6ft DVI Dual Link Digital TMDS Monitor Cable Shielded DVI-D M/M 6' - (DVI-D M/M) 6-ft.
DVI Dual Link cable delivers the performance and bandwidth needed for dual or single TMDS Link specified equipment. Gold-plated contacts ensure excellent conductivity and long-lasting performance. Dual Link digital signaling allows transmission speeds up to 9.9Gbps and a 2560 x 1600 resolution. Molded cable features foil/braid shielding for maximum EMI/RFI protection. 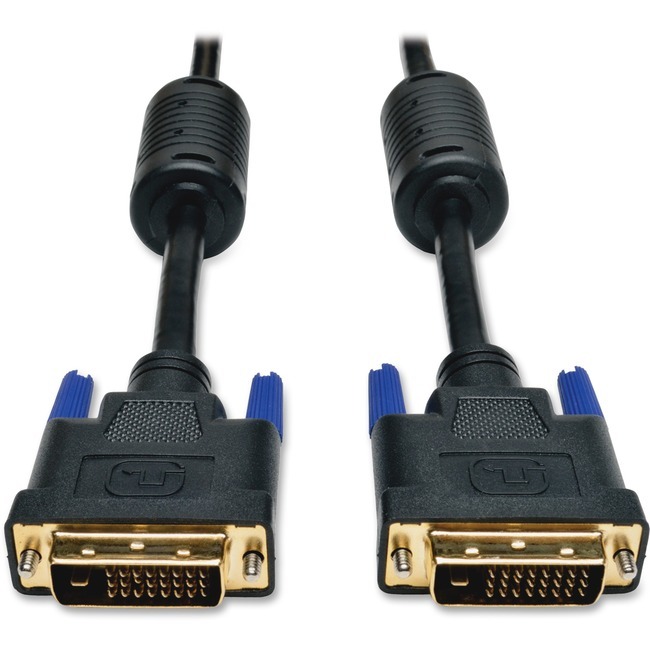 Cable is designed for use with digital CRT displays, flat panel displays, HDTVs and projectors.